IT'S A WIG STORY - How to Make Your Lace Front Look Even More Natural! Wigs have certainly evolved over time. Lace fronts in particular offer a very natural looking option, as the hair appears to be growing from your own scalp. Not that the wonderful wigmakers aren’t already doing a fabulous job, but we actually discovered quite a few ways you can tweak your lace fronts and make them look even more like your own hair. Check out these simple tips! 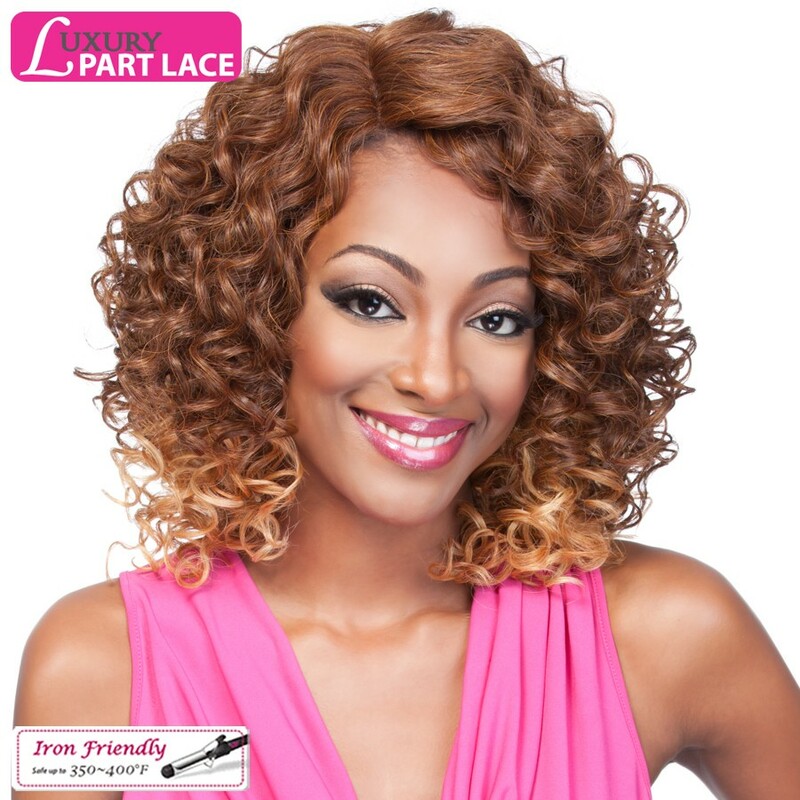 Tweeze the Part: A lot of lace wigs come with parting to give the unit a more natural feel. The parts, however, are often a little thin and don’t necessarily mirror your actual part. This is actually a good thing though because it gives you the freedom to alter the part to your own preference. All you have to do is secure your wig onto a wig head with wig pins. The same tweezers you use to tame your eyebrows can be used to pluck a few strands from both sides of the part. You want to grip one strand at a time from the root and simply pull. Be careful not grab the actual lace. You’ll be able to see fairly quickly a wider part that looks more like yours! Our “L Part Lace Shannan” comes with parting. You can leave the part as is, or you can tweeze a few of the strands out in the part to make the unit look more natural. Give it Some Edge… Literally: This may be the best tip! You know those fun art and craft scissors with the wavy and zigzag blades? Well, when you cut the lace around the hairline, use those instead of your basic straight blade scissors. You may even notice that the edge of the lace on a lot of wigs is actually already in a wave or scalloped pattern, so you’d basically just be cutting it similarly to the original edge. If you were to look at your hairline right now, you’d see that it’s not a straight edge. It kind of does its own thing and makes an imperfect line. The edger scissors will mimic an imperfect hairline for a similar effect. Shape It Up: So your unit is going to come styled, but unfortunately your face shape wasn’t in mind when the manufacturers made it. Customize it for your pretty face by trimming it a little with a pair of quality hair shears. Starting in the front, take about a two inch section at a time and cut down at an angle. You can also define the layers, or create some if there aren’t any, and whatever else you feel will best suit your face. You’ll be able to gage what works for you as you trim.